IGN have putted up their preview of the game so have a look if you haven't played the game yourself yet. 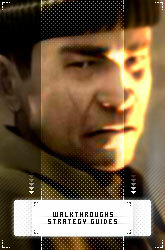 "Fans of the franchise will be pleased that the difficulty remains intact even though the title is now a first-person shooter. After completing a mission, you'll feel pure satisfaction, but that's mostly because there are no check points. Die, and start over." Unless you use the save function of course.
" One of the most impressive parts of the game thus far is the impact of bullets on enemy soldiers and their realistic flops to the ground. As Hawkins, you can train you sniper rifle on a fast-moving enemy and press a button to hold your breath, which will not only steady your aim but also slow down the game for a moment, a kind of Zen-like moment before you unleash a fatal head shot. Needless to say, it looks and feels cool." Commandos Strike Force, the intense stealth combat game, allows you to switch on-the-fly between elite members of the Strike Force team as you travel deep behind enemy lines to strike the enemy where the mass power of an army cannot. Often the only way to achieve this type of destruction is to use your wits, strategize and utilize disguises to sneak your way to a location where you can hurt them the most. When stealth is the task at hand, George Brown, the spy member of the elite Strike Force team, is ready for duty. This latest trailer focuses solely on his abilities, and gives you a good look at how his forte of stealth combat fuses perfectly within a first person shooter based environment. 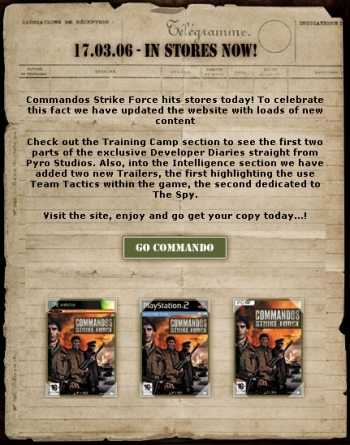 But that is not all, as this week we are also sneaking our way into Pyro Studios a second time to hear from the art team as they discuss how they have set up the real life members of the Commandos Strike Force development team to accomplish their task in creating the latest installment of the popular Commandos franchise. Again thanks to out forum member Bertie who always seems to know about a new trailer before we receive an official press release. The clock is counting down to the release of Commandos Strike Force, the intense stealth combat game. The latest addition to the Commandos franchise redefines the series by fusing the first person shooting genre with strategic stealth combat. The ability to switch on-the-fly between the elite members of your Commandos Strike Force team allows you to take control of the action and determine which way you want to approach the battle. However, you wouldn’t have the complete ability to devise your own strategy and tactics if you were limited by the environments that surround you. There would need very large open battlefields, which is exactly what we are featuring in this week's video! This video showcases some of the beautiful landscapes that help keep you in charge of pushing the action, the way that you want to. It’s just icing on the cake that they look great too! Go check out the video now over at Eidos Interactive! Again kudos to Bertie for posting this in the forums. Go download the video now and see some examples for yourself! CSF Team Tactics Video (4.0 MB) Enjoy! 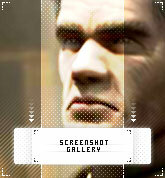 And also a thank you to our forumer Bertie for posting about it in the forums! Aha! You thought you wouldn't see me posting here today, that you could get away without me reporting something new about Commandos Strike Force. Well you would have been right if it weren't for Eidos releasing a movie letting the CEO, Producer and Lead Designer taking you behind the scenes. Todays discovery goes to ss666 who posted a topic a few days ago explaining how to play the music that comes with the demo and offering an alternative menu version. Go to the CSF demo directory, then go to Sounds and then to streaming. There you'll find three files that have the .rws extension. Select a file, press F2 and change the extension to .ogg. You can now play them with Winamp or another media player that supports the .ogg format. Especially the Endgame music file is recommended to listen to as it's a joy for the ear!